Latest fully digital version 2.0 for the Bosch LSU sensor - called WBo2. the TE-WB 1.5 with additional logging capability - these use the NTK UEGO sensor. They all offer a high performance but low cost means to accurately monitor the AFR (Air Fuel Ratio) of your vehicle. 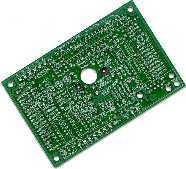 You can add our small low cost TE-5301 LED display for continuous AFR (or Lambda) readout. 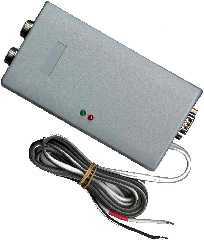 An L1H1 NTK UEGO sensor (supplied by you, and obtainable from a number of outlets) is also required and an interface cable completes the setup. You can order items described above or follow the links for more information. results appear in a new window. Inbuilt data collection (wideband, RPM and two A/D channels) with RS232 output. Works down to 11 Volts for battery use (bike and kart usage). Narrowband output (with adjustable stoic point) provides sensor signal for ECU. Linear voltage output (Vlin) zero to 5 Volt, with AFR = 9 + (2 * Vlin). Free-air re-calibration adjustment and precisely adjustable stoic voltage setting. Reverse polarity and inbuilt fuse protection. Positive power indication (greed LED), and Ip enabled indication (red LED). 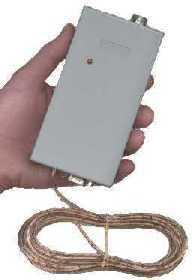 The TE-WB uses the same NTK sensor (the L1H1) as the original Oz DIY-WB unit described below. The unit is available as a prebuilt unit or a DIY Kit. Download the version 1.5 User's Manual (700k PDF). Note : The version 1.0 has been discontinued and replaced with the version 1.1 which is the 1.5 unit without the logger function. Reliable analogue measure of AFR using the NTK L1H1 sensor. Measurement of AFR from below 10 (unleaded) to above 30. Requires 13.2 Volts generally obtainable with an alternator. Single Red LED indicates sensor is heated and Ip is enabled. Voltage output (Vout) of 1.4 (rich) to 2.5 (stoic) to 3.1 Volts (lean). No user adjustment and automatic calibration with sensor's Rcal. Although no logging is provided, when used with the 5301 display, limited AFR only logging is possible. The unit is available as a prebuilt unit or a DIY Kit. Superbright LEDs can be viewed in daylight. Works for version 1.0/1.1 and 1.5 WB units. Optional serial logging capability at 5 samples/sec. 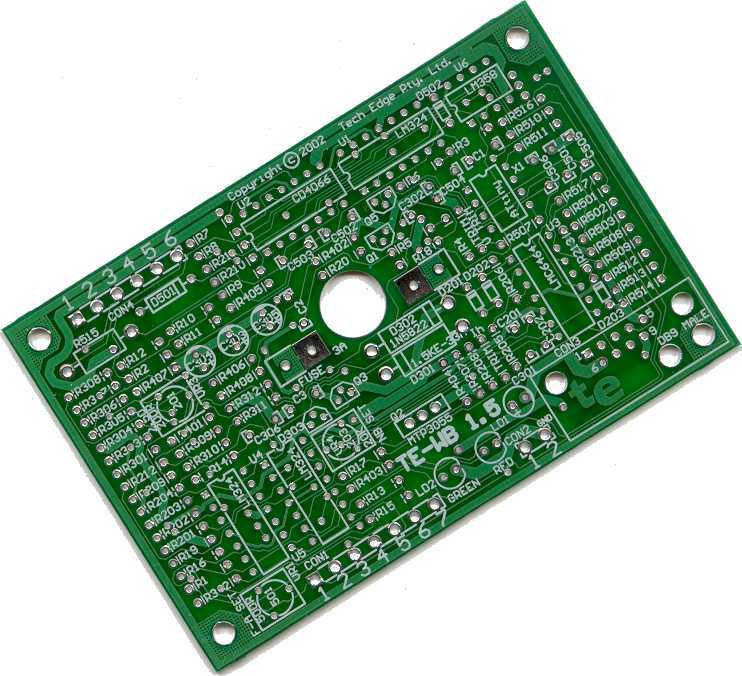 The TE-5301 unit is available as a prebuilt unit (order it here) or as a DIY Kit. We are working on the next version of this display to support some of the features added with the TE-WB (v1.5), and continuing with 2.0. We also have a number of supporting items available. Cables - 2.6 and 4.0 metre cables (about 8.5 and 13 feet long) are available to connect the L1H1 NTK sensor to either of the WB units. NTK sensor - Occasionally we have a number of L1H1 NTK sensor available. When we do we'll have an option on our order page - no option means we don't have any. 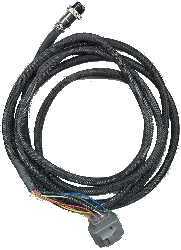 We also have a number of different connectors available for you to make up your own cables. 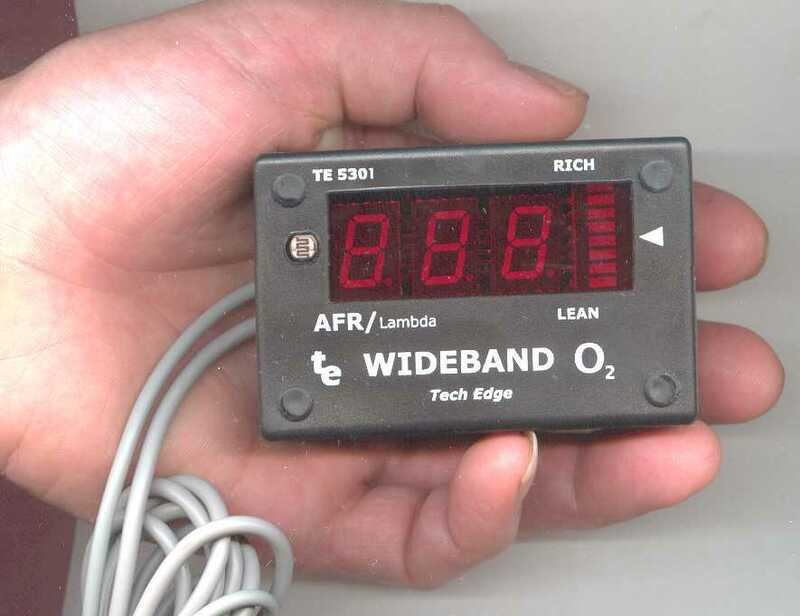 The Wideband units described here are not an adapter for an existing oxygen sensor you may already have, but a conversion using a specific five wire NTK UEGO sensor and a box of electronics that interfaces to the sensor. This NTK sensor is designed specifically to measure both rich and lean, and is ideal for tuning your EFI or carby vehicle (note however that leaded fuels will dramatically reduce the life of the sensor). Here is more technical information on the L1H1 sensor. Most people using the 1.0 WB interface unit will mount the new sensor alongside their existing narrow band sensor, or perhaps in a more convenient position before the catalytic converter. 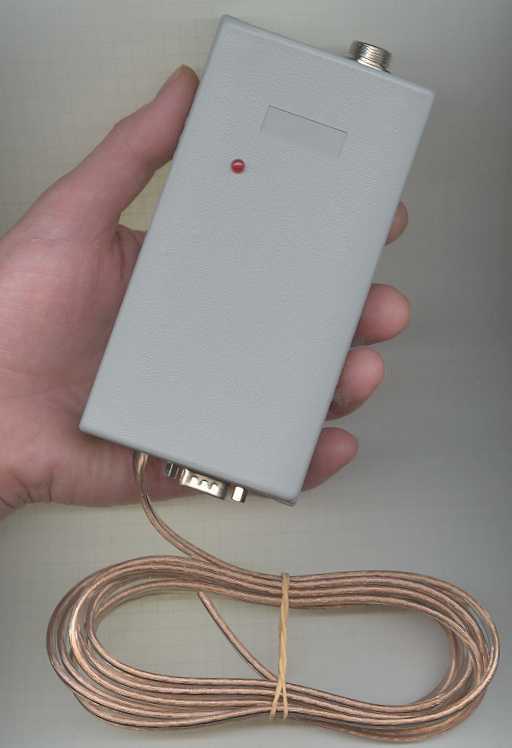 The version 1.5 WB unit has a narrowband output and, with care, it can replace the existing narrowband sensor you may have, but note that you run the risk of damage to your vehicle if you run very rich or very lean mixtures for extended periods of time, or for very short period of time on forced induction motors, incorrect mixtures can rapidly cause damage. The sensor should always be placed on the engine side of a catalytic converter, unless you are testing the effectiveness of the convertor itself. The gas temperature to the sensor should never exceed 850 degrees C (about 1560 degrees Fahrenheit). We don't recommend using a short sections of exhaust pipe shoved up your tailpipe. A specially welded additional bung is the best mounting strategy. The sensor reads the partial pressure of gases in the exhaust and infers the AFR, rather than by measuring some magical AFR directly. This may be an issue on forced induction, and in particular, on turbo-charged engines. AFRs will indicate richer than they are, causing you to run leaner than you think. Lean AFR's will be richer (or less lean) than indicted. A solution is to ensure you locate your sensor away from the turbo, and certainly on the exhaust (low pressure) side of the turbo rather than the engine side. There are a number of software projects that will let you log the output of the version 1.0/1.1 or 1.5 wideband units. v1.5 Palm OS software from Jonathan Burchmore. v1.5 Dos software from Tech Edge (preliminary). v1.0/1.1 Palm OS software from Jonathan Burchmore. We hope to have links soon for Win32 and perhaps WinCE applications. 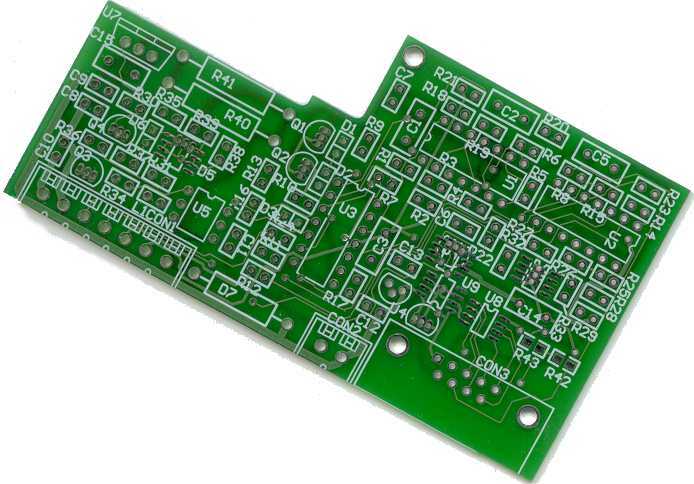 We are developing a logger that can work with the version 1.0 DIY-WB unit. It can also work as a stand alone logger for other similar logging tasks. At present you can log the 5301's data using software from Jonathan Burchmore. We appreciate your feedback on the content and any corrections necessary to this article. This document is copyright © 2002, Tech Edge Pty. Ltd.